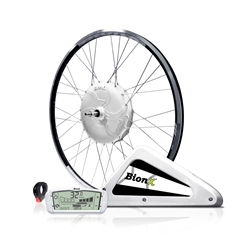 Bosch Performance Line electric bike drive system. 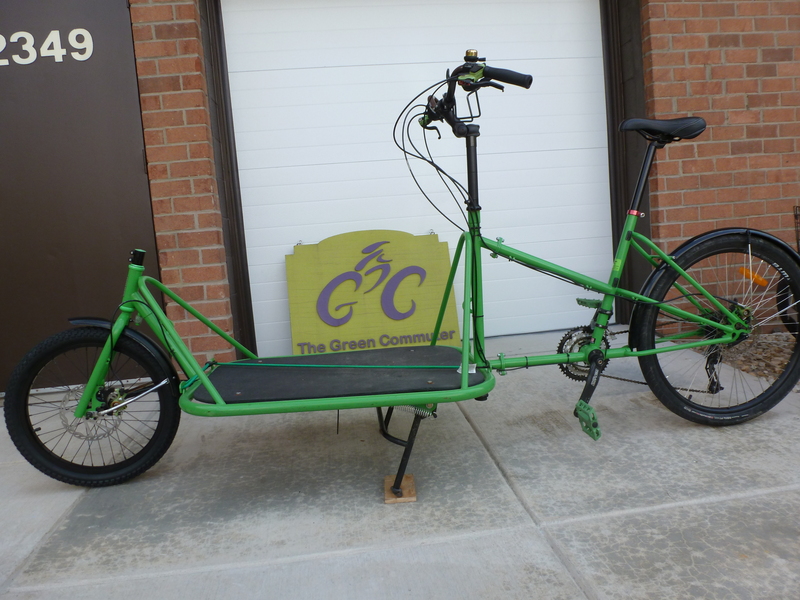 Xtracycle is a leader in cargo-bike design and innovation. 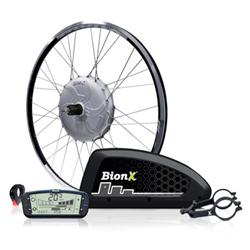 The Bosch electric bike drive system is the European market leader working with 50 leading European bike brands. 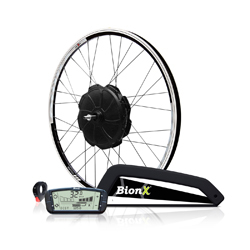 Together they provide new ways to bring a bike into your daily life. The 350-watt maintenance-free Bosch Performance Line electric direct-drive motor puts out 63Nm of torque and gives you 50% - 275% more power when you need it most. This means that you’ll be able to bike up hills much faster than an elite racer, even carrying heavy loads. 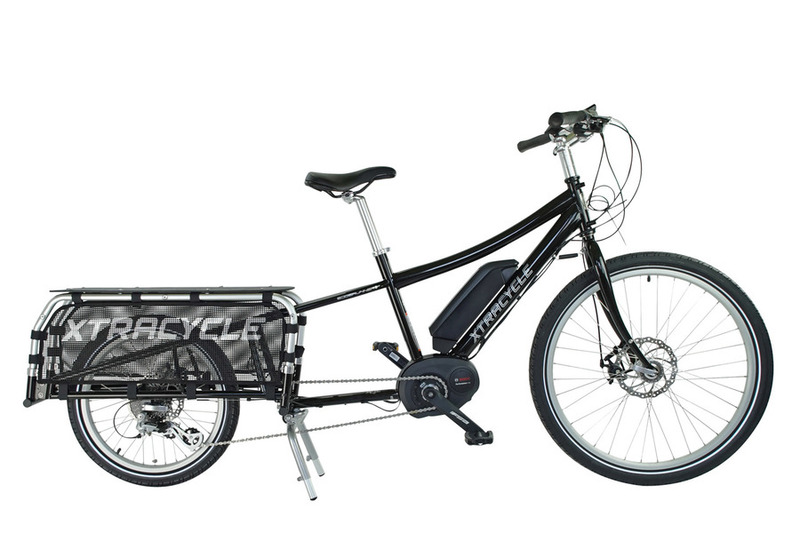 These Bosch-powered Edgerunner accept all the innovative LongTail 2 accessories Xtracycle is famous for. 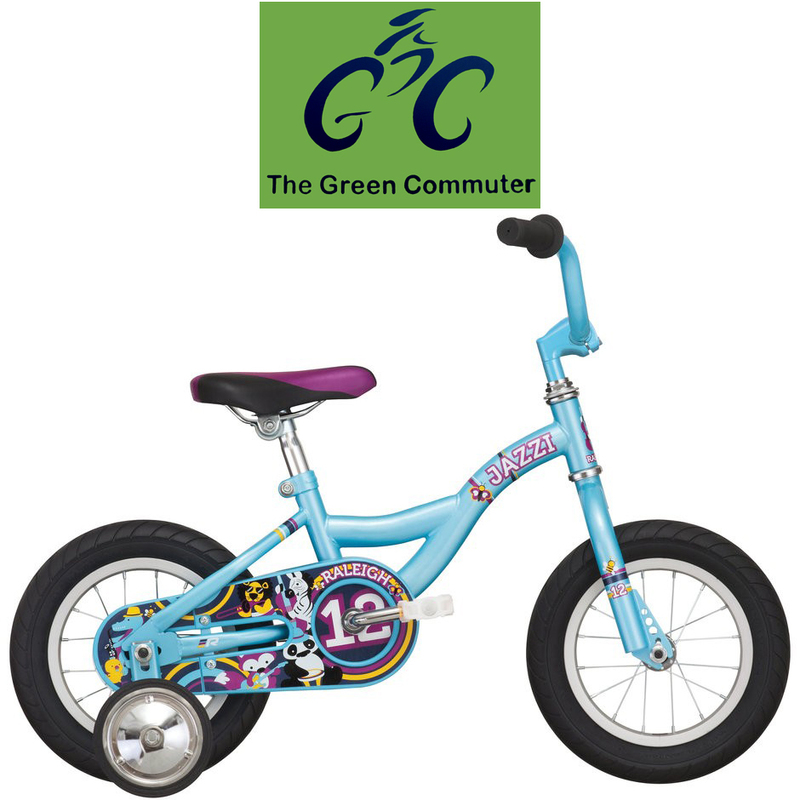 Haul kids, tools, groceries, whatever, safely and securely. 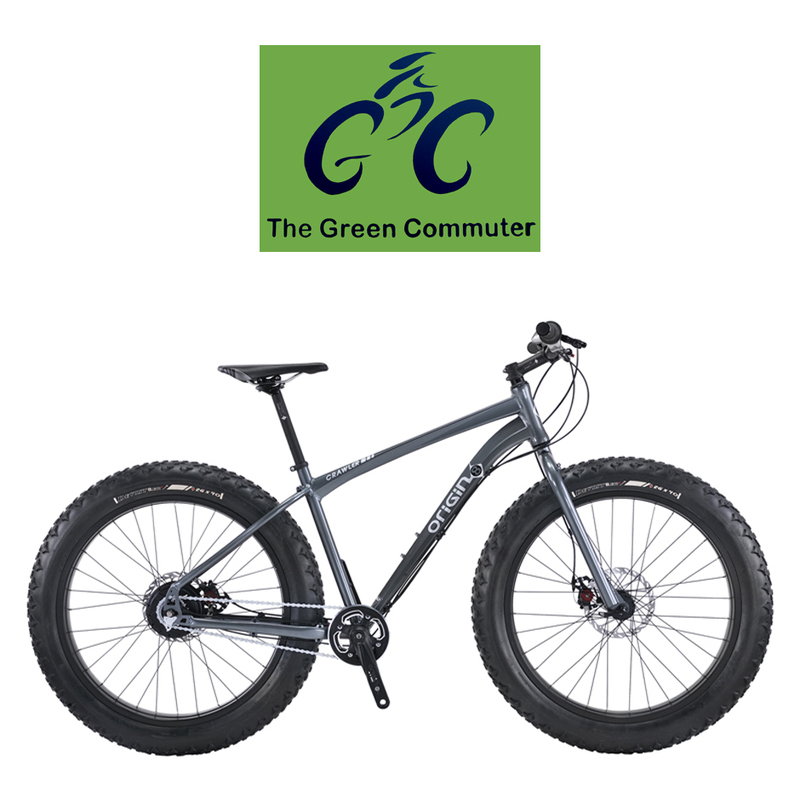 The Xtracycle Edgerunner 8e, the 8-speed model with Shimano Altus grade components, is now $3,999. 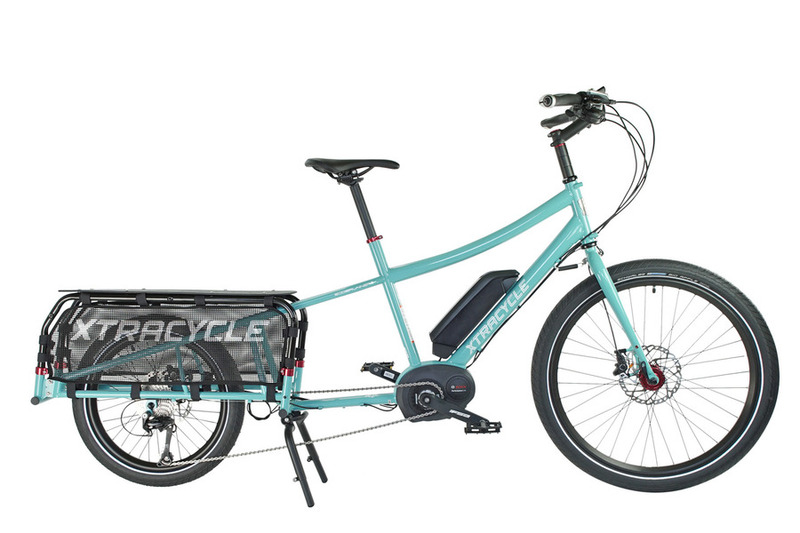 The Xtracycle Edgerunner 10e, the 10-speed model with Shimano Deore grade components and upgraded hydraulic disc brakes, is now $4,499. Visit our Craigslist DC pages for updated specials! 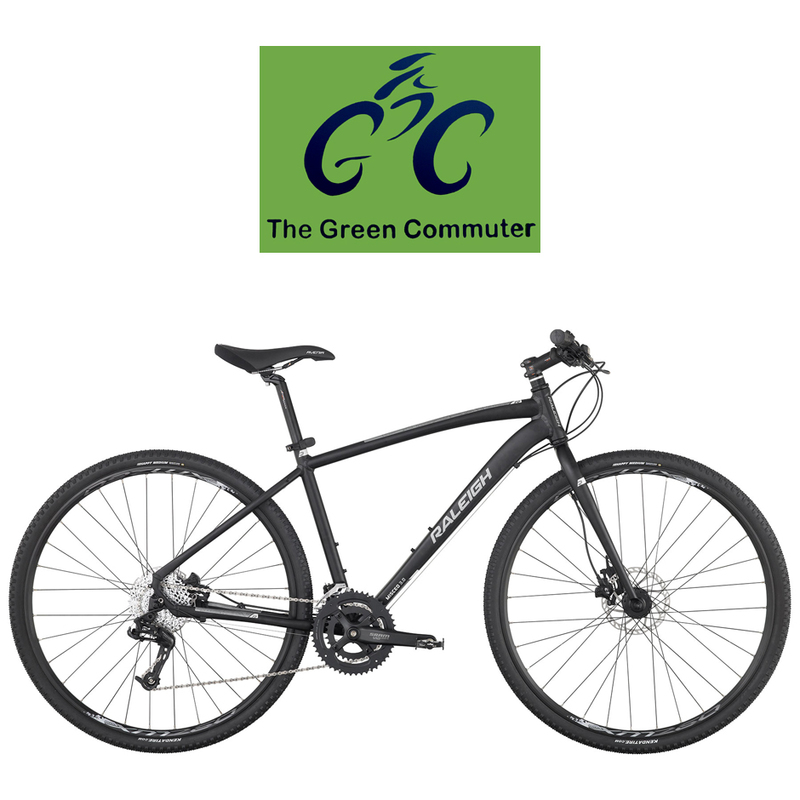 These bikes are priced to move! 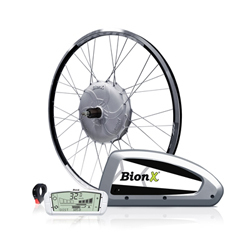 BionX bicycle electric assist kits provide what many consider to be the best riding experience on an e-bike. The kits listed below are on clearance to make room for new models. 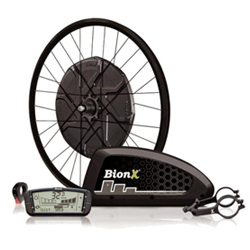 Year-end special: Free Installation with purchase of any in-stock BionX kit, $150 value.